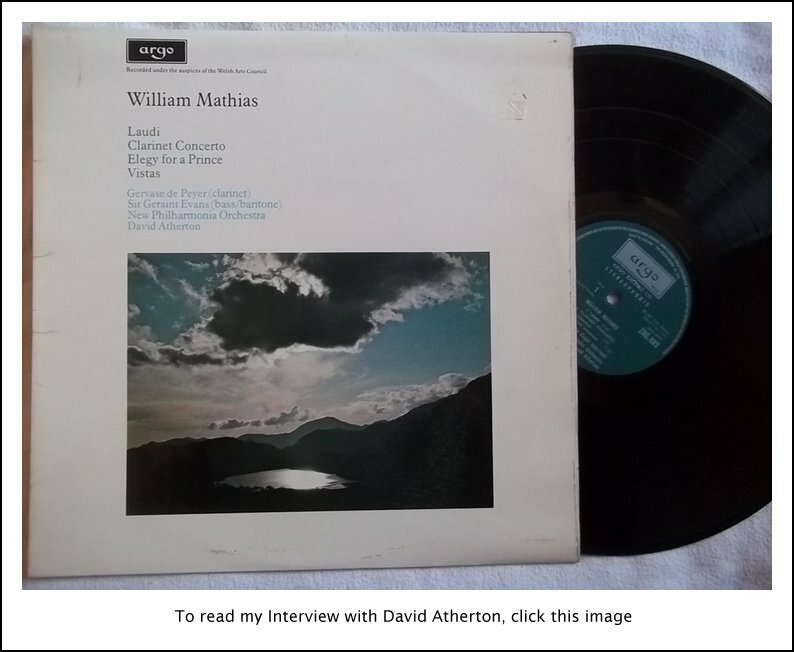 William Mathias Interview with Bruce Duffie . . . . . 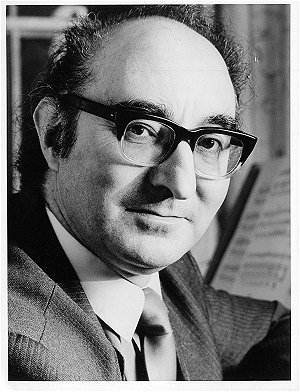 While his name might not be immediately familiar, William Mathias was the composer of a work which was heard by millions world-wide — the anthem sung at the wedding of HRH Charles, Prince of Wales to Lady Diana Spencer in 1981. His output included orchestral works, chamber music, other choral pieces and piano sonatas, many of which are now recorded. A full biography from his publisher is reproduced at the end of this interview. He was in Chicago as Featured Composer and Guest Conductor of the William Ferris Chorale for their concert in December of 1985, and it was my good fortune to be able to have this interview with him at that time. We met just after his arrival in the Windy City and chatted in the restaurant of his hotel . . . . .
Bruce Duffie: Do you consider yourself a Britisher at all, or completely a Welsh composer? 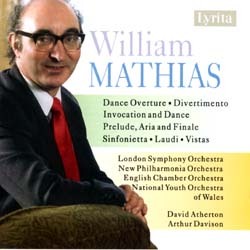 William Mathias: I consider myself to be a Welsh composer, but that’s the same thing as saying British. I think there are certain things in my music which one would describe as vaguely Celtic, and in that sense it’s Welsh, yes. But no, one isn’t something which is on a small scale. One hopes, one thinks, that the small is part of a larger scale. Don’t forget that it was Ben Britten who said that you move from the particular to the general. I believe very much in that way because Wales is a very small part of Britain, and it’s a small part of Europe, and yet it’s actually a very lively one. And that’s why I choose to live there. BD: Is there anything about your music that is specifically Welsh or specifically British, or is it just music of today? WM: No, I don’t think there’s anything which I could point to myself as being specifically Welsh. I mean, if one looked, for example, at Copland and said Copland uses American tunes in Appalachian Spring and Billy the Kid, of course you can point them out. But perhaps that’s not the thing that makes Copland completely American, is it? It’s just on the surface. Perhaps it’s deeper than that. I find that people who know my music well say to me, “Yes, there’s something Welsh about this.” But it’s at a deeper level than that, I think. It goes into the nature of what people are like, what the archetypes are, as Copland says somewhere in his book, Music and Imagination. It’s a very profound question. I think a more interesting question is: whatever the music is like, is it good, and in Stravinsky’s phrase, is it wanted? You know that old phrase of Stravinsky’s, “It isn’t good or bad so much as who needs it?” I rather like it, because if nobody needs it, what’s the point? BD: Well, your music seems to be more accessible than many other contemporary composers. Is this a conscious effort on your part to make it wanted? WM: No. No, it’s not a conscious effort at all. Accessibility, I think, is important, but if you try for it you’re often likely not to succeed. On a different scale in a different place, look at the pop market, which I think of as a market rather than anything else in music. It’s virtually impossible to predict what is going to be up next week, and down the next. As far as I understand it, it’s really a matter of luck, isn’t it? BD: Luck and marketing, I think. WM: Luck and marketing. But on the other hand, in "serious music," using the phrase in its convenient way, it would be equally impossible to predict what would be successful or not. I think the word "successful," anyway, is a difficult word to use, because what is success? BD: There are different kinds of success. WM: Yeah, there are different kinds of success. Don Giovanni didn’t go down too well in Vienna, but it went down very well in Prague. The successful thing is to achieve what you set out to achieve at the time you’re trying to do it. I think that’s the aim of the composer. BD: Let me ask, then, what do you set out to achieve when you write a piece of music? WM: Oh, first of all, you try to write the best that’s in you in that time to write. If you are doing it well, in my way of composing, that means eliminating what you don’t want to say. That doesn’t in any way contradict a composer who wishes to elaborate on what he says. I think there are composers who do that, and they do that successfully. But I think probably there may be more around than there should be who try and elaborate too much. It’s not difficult to elaborate on music. I wrote my most complicated music when I was about seventeen! Since then I’ve been cutting things out in order to try and get to the center of what has to be said. And I think that is what we mean by accessibility. But it’s something which I do out of conviction. I don’t find it basically a problem. The difficulty is saying not as much as possible, but perhaps as little as possible, in a way. BD: Is serious music something that should be marketed and exploited the way pop music is? WM: That is, again, a very difficult question. I think serious music needs somebody who believes in it. Who that person is, of course, has to be the composer, because if you don’t believe in what you do, how can you expect others to believe in it? In fact you do it first of all for yourself, but also for the person sitting next to you. You don’t write a piece for a thousand people. I don’t think it’s possible to imagine a thousand people listening to something. One hopes that one day they will. But a composer has to have certain people there to help, unless you’ve got a publisher, and I have a very good publisher, Oxford University Press. It’s in London and New York, and various presses in the world. Without that, however, it is very difficult to market your music. Also, you have to have recording companies who are interested, and luckily I’ve had recording companies in Britain who were interested quite a lot, and some of those records appeared in the States as well, and around the world. And thirdly, I think you have to have broadcasting resources. That seems to me, vitally, the most important thing in the life, particularly of a young composer. I’m now just over fifty, but when I was a young boy in Wales, there was very little in the way of what you might describe as professional orchestras. This is true, even, of a composer of the same generation as me in Britain, Peter Maxwell Davies. He is probably known here and you may have interviewed him. But he said the same thing, that apart from one orchestra or other, he very rarely heard professional performances by orchestras, and certainly I didn’t when I was a very young boy. But without Radio Three, as it is in Britain, it would have been very difficult to get to know the complete symphonic repertoire, or the chamber music repertoire. Radio has been a very important influence on the whole of my generation in Britain, and we’re very lucky there that there is that output for composers as well. That means you can reach quite a lot of people over the whole spectrum of the country. BD: But what you’re talking about implies a live performance that just happens to be broadcast, as opposed to a record, which is a fixed performance. WM: That’s correct even if it’s a delayed-broadcast, which nevertheless means next week, or the week after. Yes, it does mean a live performance. I certainly believe in the live performance. It can be a very dangerous situation where everything is recorded and people are listening on the headphones all the time. Music is written, surely, in order that people can experience something collectively as well! It does depend on the piece. I mean, a string quartet, I think, is very splendid in your own home, but unless you happen to have television as well, I think listening to parts of Wagner is a little bit off-putting on occasion! BD: Then what do you expect out of the public? WM: Well, nothing, really. I can’t really expect anything out of the public. If they respond, that’s wonderful. I think the response really is great, as Mozart says in letters to his father. But the world is now becoming a smaller place, and I think that what you say has to be heard by most intelligent listeners, or must be accessible to most intelligent listeners around. But I don’t really expect anything of the public; I just expect to be able to, hopefully, write the kind of music to which they respond. The problem is, as I told you before, you cannot calculate that. Either you can or you can’t. BD: Let’s talk about a few of your pieces. Perhaps the best known is Ave Rex. WM: That was written in the sixties for a Welsh choir, originally. I think it was the Cardiff Polyphonic Choir, which was a choir probably of roughly the same size as the William Ferris Chorale here in Chicago. It was going through a very good period at that time, and they asked me for a new piece at Christmas, and this is what emerged. Originally it was written for chorus and organ and I made another version for chorus and orchestra, which is the one we’re going to hear this week. Either is valid in my view; it makes no difference which is played. It’s a collection of Christmas material. They aren’t all carols as such, but they are basically carols with medieval words. I like using medieval words partly because you’re slightly distanced from them, or at least the words are not sentimental. You can never be accused of falling into sentimentality by using fourteenth and fifteenth century words. There’s a certain realism, a certain rightness about them, which isn’t true of the nineteenth century’s. BD: It’s not off-putting at all? WM: I don’t find it off-putting at all! I find it’s much nearer to me than poetry of the nineteenth century, the worst of which is very often like you get on the back of Christmas cards, which is sentimentality. I don’t like sentimentality in music or anything else. I like direct emotion if one has to use it, and I prefer those words. BD: Are you conducting this piece? WM: No, William Ferris is conducting that piece. The piece I’m conducting is an orchestral piece called Laudi, and "laudi" literally means praises. It comes, of course, from the concept of laudi spirituali in the fourteenth century. It’s a piece about praise. A lot of my music is to do with praise in one form or another. Now we mustn’t use that word in a small way. It’s a general celebration, and just as one kind of work can celebrate life, I think a requiem can celebrate death. It sounds a very curious concept, and might not be understood by everybody, but I do not see why the word celebration should not come in. I think art very largely is about that concept — not entirely, but largely. Laudi is about a twelve minute piece. It’s nice to tell people how long they’re going to be listening for! [Laughs] It’s a twelve minute piece based on a short organ chorale of my own which I wrote about nine years before it, and which appears only right at the very end. So the whole piece is based on that chorale in one form or another, without being a set of variations on it. BD: It’s not an enigma that becomes clear at the end, then? BD: Then you’re constantly thinking about your pieces and really learning from pieces that you’ve written before? WM: Yes, except that you try never to repeat yourself. This is always a difficulty. One must never try and do the same thing. The real problem is, for example, if you happen to write a work such as the wedding anthem for the Prince and Princess of Wales. It was a great privilege, of course, and gave me enormous pleasure to write. It was marvelous that a member of the royal family wanted something new for his wedding. It would have been thought normal in Handel’s day, but it isn’t particularly normal now, when people tend to fall back on what they already know. But he wanted something new. But having written that, and its having been heard by millions and millions of people, one is constantly asked to write more pieces for people to get married to! Whereas the answer is, “Well, on the whole, much as I’m very grateful for your invitation, couldn’t you use the one that exists?” I don’t want to go into this in any kind of cynical way at all, but since I’ve done one, I mustn’t do another one of the same kind. BD: Where did the commission actually come from — one of the members of the royal family, or did Charles himself ask you? WM: It’s from the Prince of Wales, yes. That was in 1981, but I think he knew quite a bit of my music before then. I had written a considerable amount of music for the church right from the time when I was quite young, by the age of twenty. I can't remember exactly how, but this just started by somebody asking me to write a church anthem. I hadn’t done so before in any particular kind of way, but I enjoyed doing it for various reasons, and I still go on doing it, because it is one way in which a composer can be functional within his society. It is one of the few ways he can be — let’s put it in the right way — used. And to an extent, anyway, unless he’s writing quartets, and big or small opera, or some big metaphysical work, I think it’s very important the composers should still be there, and should still be used by people. BD: Do you write only on commission, or do you write some things just because you feel you should write them? WM: Earlier on I wrote only those things I wanted to write and I still do that, but it was Stravinsky who said, “You are commissioned to write what you want to write.” I think he was right and that is now the way I tend to work. Let’s take a simple example. Possibly five or six or seven years ago I promised to write an organ concerto for Gillian Weir. Suddenly in 1984, an invitation comes to write a new work for the BBC Promenade Concerts in London. They asked, “What would you like to write?” and I said, “Wouldn’t you like an organ concerto as you have that extraordinary instrument in the Albert Hall, and there aren’t many organ concertos? And I promised to write one for Gillian Weir.” They said it sounded like a splendid idea. This is normally the way things work out, by talking it over with the commissionee or somebody who is interested in doing something. Normally you get the things that you want. I would not, on the whole, accept a commission that I did not want to fulfill. BD: You’re conducting one of your works in this concert, so let me ask are you the ideal interpreter of your works? WM: I don’t think anybody’s the ideal interpreter of the works. I think the answer to the question is that if it’s a good work, by anybody, it’s capable of any number of interpretations within reason, as long as the tempo doesn’t diverge enormously from what you set out in the first instance. No, I don’t think I’m the ideal interpreter. I do quite a bit of conducting, and I think what I have to say about any piece would at least be interesting. It would be one way of looking at it which is at least valid. But I don’t write the works in order to conduct them. I write them in order that somebody else will conduct them, and sometimes tell me about them. What I do find quite often, actually, with new things, when they’re done the first time by somebody else, is that conductors often are so far off the point that on the whole, I would prefer to do it myself! But normally, I try to avoid the first performance, because I’m very near to a work at that point. WM: Too close. Just a bit, and it might be better to have somebody younger, somebody like Simon Rattle, or David Atherton, who works in San Diego, to do that work. They place a little distance from you, and they can, perhaps, tell you a few things about it. But my view is that a bad piece has only one way of doing it, and a good piece has any number of ways of doing it. You may disagree with that, but I think it’s probably got some truth. What a composer would have to say about his music would at least be of some value. I mean, Elgar was remarkable in lots of ways. I mean, perhaps he wasn’t a great conductor in the sense that Furtwangler was, but at least when you listened to him on his own music, and sometimes on music of others, it’s quite remarkable. BD: Do you also conduct music of other composers? BD: Do you approach the music of other composers differently than a conductor who doesn’t compose? WM: I can’t answer that question because I don’t know what it is to be a conductor who doesn’t compose. But often, if I have a Mozart piano concerto to do, for example, I might well spend more time on that than I do on my own piece, which is from my standpoint probably easier to do! It depends what it is, but I get very fascinated with things like that. And I say concerto because many conductors dismiss concertos as something they can’t get interested in. They think it’s just a spot for the soloist and I couldn’t disagree more with that. As far as I’m concerned, if it's a great piece of music, that’s the place where you try and do everything you can to show people in the audience that they are acting as an interpreter as well. I do think a composer has something to say about the music when he conducts. I had a curious conversation with Simon Rattle, who conducts his City of Birmingham Symphony Orchestra at my festival in North Wales regularly. We were talking about conductors over drinks and he said to me, “The real trouble nowadays is that there aren’t enough conductors who compose. All the really great ones in the past did.” He was thinking of Mendelssohn and Wagner and of Mahler above all. He was also thinking of people like Furtwangler and Klemperer, who, although we don’t know their music, their great ambition, actually, was to be composers. WM: Indeed, indeed. He studied with Bartók and Kodály and actually was a very rounded musician. I think conductors should be rounded musicians. BD: You’ve been talking about quite a number of musicians. Do you have a sense of history — that you belong as part of a musical line, a community of composers or performers? WM: I don’t think about it. I don’t think about it at all. I think that a great deal of the problems of twentieth century music have been caused by people who see themselves too much in a historical light. That’s probably inevitable in Austria ‘round about 1900 and 1920; very understandable. But to go on doing it as a means of justifying what you do does not seem to me very interesting. I’m talking now also as someone who teaches in university and has taught for twenty-five years at University of North Wales. BD: Do you enjoy teaching? WM: Oh, yes, I enjoy teaching very much! And you know, it takes a lot of time and I shall have to think how much more time in my life I can give to it. But I think it was very important to do it in Wales, certainly up ’til now, because Wales is being rapidly professionalized as a country, musically, and that’s partly through the universities, and various other means. What I’m getting at is the teaching process also brings in history. But we have to be careful how we use history in so many ways because we live now — as you in America particularly know — in a pluralistic society. I’ve always known that, even in the time that I was a young student, and in that sense, Wales, which is very small, and America, which is very large, are interesting! Some parts of Europe can now seem quite provincial in the newer kinds of music which are being produced, and are really of interest to relatively few people. You don’t justify anything by reference to history; you do what you have to do, and then you say, “Well, is that good?” I don’t think you can intellectualize it further. You can, but it isn’t worthwhile. BD: Tell me about your opera. It's called The Servant? WM: The Servants (plural). It was first produced by the Welsh National Opera, which we’re very proud of, actually. It’s based in Cardiff, in Wales. It’s been going on only since the last World War, but it’s now regarded as one of the liveliest opera companies in Europe. That’s not an exaggeration because I’m from Wales; that’s an accepted fact in Europe. You only have to read Opera magazine. They do some quite extraordinary things. BD: When was it first given? WM: In 1980 they produced this work. It was a fine production and was seen on television. I wrote it in the two years previous with Iris Murdoch. She's a novelist, but this was, in fact, a play of hers. Her novels would be too complicated to make into a play, but this work interested me because it was a curiously modern problem of who was to be master and who was to be servant, and what the relationship between the two are. It’s a kind of allegory set in Central Europe on the Hungarian-Austrian border about mastery, servitude, democracy and feudalism. They all come into this. It can be reflecting in almost every level of society. It was originally called The Servants in the Snow, which I decided was too long a title, and she agreed with me! BD: Were you in on the crafting of the libretto also? WM: Oh, yes! The libretto is by Iris Murdoch, but we actually did it both together. She herself is not a musician, although she’s vastly interested in music and she’s vastly interested in opera. But we had to work together; a composer has to do it. He is, after all, creating a musical form. He either finds his Lorenzo Da Ponte or he doesn't — and there is only one Da Ponte. We’re still looking for the next, I think. BD: You don’t think Hugo von Hofmannstahl is as good as Da Ponte? WM: Oh, yes, yes! Sorry. [Both laugh] Hofmannsthal is wonderful, but in a different kind of way. There are very few natural librettists. BD: Should they maybe teach libretto writing the way they teach music writing? WM: I don’t know the answer to that. It might be quite useful in some respects. Mozart referred to a “true poet.” What he meant was someone who understood the shapes of both music and words, and it’s a very complicated thing. I doubt if it can really be taught; I think you have to know it. But a successful modern composer of opera, like Britten, was very involved with the librettists — far more than people realize. He used to alter quite long sections of text. But when you’re dealing with words like that, whether it’s a short song or a large opera, what you’re doing is using the words to create a large-scale musical structure and music always must take over. This is an awful phrase, but the music must almost eat the words up if it’s going to work. [Wistfully] But it takes some time. Opera is a funny medium. WM: You have to write a second, actually, before the first is re-seen. It’s most peculiar! BD: Will there be a second from you? WM: Oh, yes. I want to get back into the theater, certainly, but I would like to write that most elusive of all things: I would really like to write a good comic opera. It is harder than writing a tragic opera. We won’t go into the details now, but the complexities are very, very difficult, especially nowadays, when it is harder to laugh, sometimes I feel. BD: I wish you lots of luck with these performances with the William Ferris Chorale. BD: [Also laughs] So were we! WM: But it’s still a beautiful city in all respects. BD: I hope you will come back. WM: I very much hope so, thank you. BD: Thank you for this all-too-brief chat about music. WM: It’s nice to be able to talk very intelligently about it. 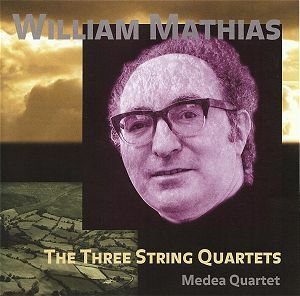 William Mathias was born in Whitland, Dyfed in 1934 and died in 1992. He began to compose at an early age, studying first at the University College of Wales, Aberystwyth, taking his BMus with first-class honours, and subsequently on an Open Scholarship in composition at the Royal Academy of Music. He was elected a Fellow of the Royal Academy of Music in 1965, and gained the DMus of the University of Wales in 1966. In 1968 he was awarded the Bax Society Prize under the Harriet Cohen International Music Awards, and in 1981 the John Edwards Memorial Award. From 1970-1988 he was Professor and Head of the Music Department at the University College of North Wales, Bangor. He was known as a conductor and pianist, and gave or directed many premi�res of his own works. 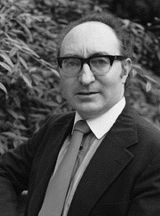 In 1972 he founded the North Wales Music Festival at St Asaph Cathedral and remained its artistic director until his death. A house composer with Oxford University Press since 1961, his compositions cover an extraordinarily wide range. Early success include the Clarinet Sonatina at the 1957 Cheltenham Festival (followed within a year by broadcasts in France and Poland), and the Divertimento for String Orchestra which, following its London premi�re, was quickly taken up as far afield as Prague and California. He has made a highly significant contribution to twentieth-century organ music, and his church music and carols are still regularly performed world-wide. Works such as the Symphonies, Clarinet Concerto, Harp Concerto, Improvisations for harp, Laudi, Piano Concerto No.3, Ave Rex, Riddles and This Worlde's Joie have entered the repertory; the Organ Concerto scored a great success in the 1984 BBC Promenade Concerts, and Lux Aeterna has been hailed as one of the finest British choral/orchestral works this century. Mathias' full-scale opera The Servants (with a libretto by Iris Murdoch) was premiered by Welsh National Opera in 1980. Works composed to celebrate Royal occasions include the Investiture Anniversary Fanfare (for the tenth anniversary of the Investiture of the Prince of Wales), Vivat Regina and A Royal Garland (for the Queen's Silver Jubilee), Let all the World in every corner sing (for the diamond jubilee of the Royal School of Church Music), As truly as God is our Father (for the Friends of St Paul's Cathedral and their Patron, The Queen Mother), and Let the people praise Thee, O God - the anthem especially composed for the wedding of The Prince and Princess of Wales in 1981. His last important compositions included Symphony No.3 (1991) and the Violin Concerto for Gyorgy Pauk (1992). 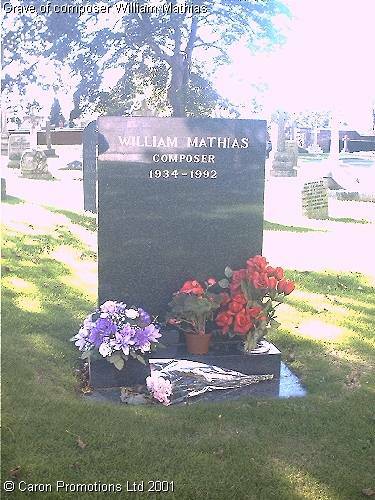 Mathias' musical language embraced both instrumental and vocal forms with equal success, and he addressed a large and varied audience both in Britain and abroad. In 1987 he was awarded an Honorary DMus by Westminster Choir College, Princeton. He was made CBE in the 1985 New Year's Honours. In 1992 Nimbus records embarked upon a series of recordings of his major works. This interview was recorded on December 2, 1985. Portions were used (along with recordings) on WNIB the following day, and again several times in subsequent years; on WNUR in 2005 and 2007; and also on Contemporary Classical Internet Radio in 2007. A copy of the audio interview was placed in the Archive of Contemporary Music at Northwestern University. This transcription was made in 2008 and was posted on this website that September.